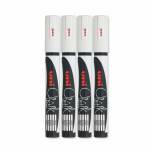 Uni-Ball UniChalk Chalk Marker Medium White (Pack of 4) 153494342 Pack of 1 Uni Chalk Markers Medium White. 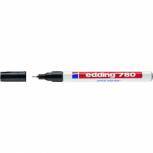 Writes on glass, metal, plastic and chalk boards. Non-permanent. 1.8-2.5mm bullet tip. Pack of 4. 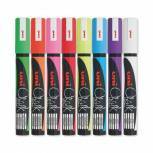 Uni-Ball UniChalk Chalk Marker Medium Assorted (Pack of 8) 153494341 Pack of 1 Uni Chalk Markers Medium. Writes on glass, metal, plastic and chalk boards. Non-permanent. 1.8-2.5mm bullet tip. Pack of 4. Red, blue, yellow, white, pink, green, orange, purple. 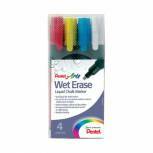 Pentel Liquid Chalk Marker Chisel Tip Assorted (Pack of 4) SMW26/4-BCGW Pack of 1 Pentel Chalk Markers have a liquid chalk formula which imitates real chalk but has a far superior performance and is ideal for use on a variety of surfaces. Assorted colours. 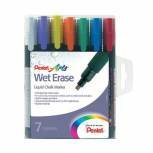 Pentel Liquid Chalk Marker Chisel Tip Assorted (Pack of 7) SMW26/7 Pack of 1 Pentel Chalk Markers have a liquid chalk formula which imitates real chalk but has a far superior performance and is ideal for use on non-porous surfaces. Assorted Colours. 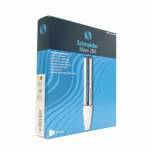 Schneider Maxx 260 Liquid Chalk Chisel Tip Marker Jumbo White (Pack of 5) 126049 Pack of 5 Liquid chalk markers for all glossy surfaces, i.e. Blackboards, shop windows, special offer boards, and at home for colourful window decorations. 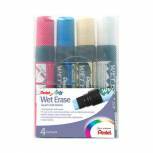 Erasable with a wet or dry cloth. 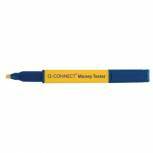 2 - 15mm line width. White. 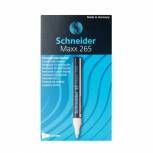 Schneider Maxx 265 Liquid Chalk Bullet Tip Marker Fine White (Pack of 10) 126549 Pack of 1 Liquid chalk markers for all glossy surfaces. 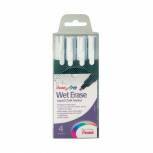 Erasable with a wet or dry cloth. 1 - 3mm line width. Pack 10. White. 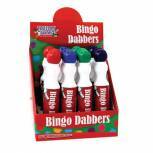 Tallon Large Bingo Dotter (Pack of 12) 1158 Pack of 12 Dotter for playing bingo. Ink allows easy view of underneath number. Large design for clear use. 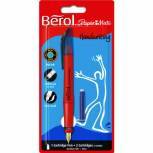 Designed for repeated use without running dry. Pack of 12 dotters in retail display. Assorted colours: 3x red, 3x blue, 3x purple, 3x green. 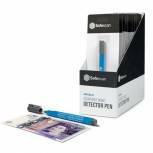 Safescan 30 Counterfeit Detector Pen (Pack of 10) 111-0378 Pack of 10 Safescan Counterfeit Detector Pen. Immediate verification. Suitable for all currencies. If the created mark on the banknote changes colour, then the banknote is fake. If mark fades and eventually disappears, then the banknote is genuine. 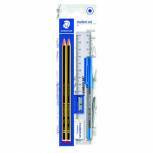 Staedtler Student Set 120SETBKD Pack of 10 Staedtler Student Set containing two Noris 120 HB Pencils, 150mm ruler, Blue Stick Ballpoint Pen, Plastic Eraser and Pencil Sharpener. Pack of 10 sets. 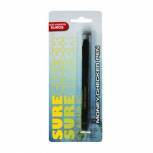 Pentel Liquid Chalk Marker Chisel Tip Jumbo Assorted (Pack of 4) SMW56/4-BCGW Pack of 1 Pentel Jumbo Chalk Markers have a liquid chalk formula which imitates real chalk but has a far superior performance and is ideal for use on non-porous surfaces. Assorted Colours.